Hooray! The Balochistan Assembly finally enacted the Balochistan Protection and Promotion of Breastfeeding and Child Nutrition Bill 2014 on January 18, 2014. This is truly a progressive step towards a healthier province and a healthier Pakistan. However, the real test for the provincial government will be to effectively implement this bill, in letter and in spirit. I say this because, even though the Protection of Breastfeeding and Young Child Nutrition Ordinance 2002 is very much present on the statute books since its approval, its implementation continues to remain a distant dream. As most of us know, Pakistan is not on track to achieve the Millennium Development Goal 4 (MDG 4) targeted to reduce under-five mortality rate by two-thirds between 1990 and 2015. We know that only around 700 days are left to achieve our target and the situation does not look pretty so far. Countries like Bangladesh and Nepal are on track to achieve the MDG 4. Remember that, in 1990, Pakistan’s under-five mortality rate was 138 per 1000 live births as compared to those of Bangladesh (139 per 1000 live births) and Nepal (135 per 1000 live births). However, over the past two decades, there has been remarkable change. 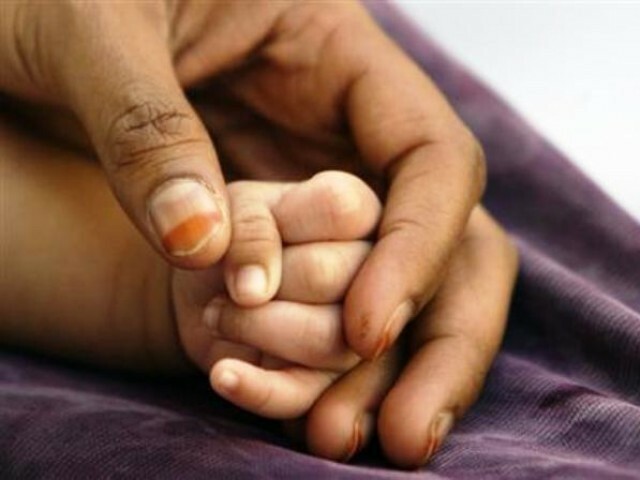 Bangladesh was able to lower its under-five mortality rate to 41 and Nepal to 42, which puts them well on track to meet their MDG 4 targets for 2015; whereas Pakistan is still struggling at 86 per 1000 live births. With the world’s highest national number of newborn deaths (194,000 in 2010), the neonatal mortality declined by only 0.9% per annum between 2000 and 2010 in Pakistan – less than the global average (2.1%) and less than the national maternal and child mortality declines. A major source of killer diseases amongst Pakistani children is the lack of exclusive breastfeeding and the use of unhygienic bottles, formula milk and teats. Pakistan has failed to achieve any significant progress in increasing exclusive breastfeeding for six-month-old infants in the last decade. Only 38% of infants (under six months) in Pakistan were exclusively breastfed, according to the preliminary findings of the Pakistan Demographic and Health Survey (PDHS) 2012-13. This is indicative of the fact that there is hardly any improvement since PDHS 2006-07, when the exclusive breastfeeding for six months was 37%. The PDHS 2012-13 findings also show increase in bottle feeding rates in Pakistan. On the contrary, in Bangladesh, the rate of exclusive breastfeeding for six months is 64% while in Nepal it is 70%. Bangladesh was able to increase the rates from 43% in 2007 to 64% in 2012 by commitment at all levels. This was also possible because of the active involvement of the civil society and media in the campaigns for the promotion and protection of breastfeeding. Breast milk is a powerful intervention which can significantly reduce infant mortality. Save the Children’s Super Food for babies report refers to breastfeeding as the closest thing to a ‘silver bullet’ in the fight against malnutrition and newborn deaths. This is apparent from the fact that an estimated 22% of newborn deaths could be prevented if breastfeeding started within the first hour after birth. “Babies who are not exclusively breastfed in the first six months are at 14 times higher risk of dying than exclusively breastfed infants” said renowned paediatrician and president of the Advocacy and Advisory Network on Newborn (AANN), Dr Tabish Hazir, during an event. He further stated that Pakistan has the highest bottle feeding rates in South Asia which calls for the strict implementation of the breastfeeding and marketing code, capacity building of the healthcare providers at all levels for improved breastfeeding counselling skills and revision of undergraduate curriculum with greater emphasis on good infant feeding practices, including exclusive breastfeeding. Research shows that early initiation of breastfeeding benefits the immunity of a baby, reduces the risk of neonatal sepsis and respiratory infections, and is also associated with higher rates of breastfeeding and lower rates of diarrhea throughout the first six months of life. According to a new study in Greece, children who were breastfed for more than six months scored the highest on cognitive, language and motor development tests as toddlers. According to the findings of a qualitative assessment done to explore factors responsible for the violation of the health codes in Pakistan, many healthcare providers are unaware of laws related to the protection of breastfeeding. To be able to witness in our lifetime that no child will be born to die from a preventable disease, it is imperative to put breastfeeding at the centre of our efforts. This means not only the involvement of the government and the health system, but also of the media and the community. Steps to eradicate major barriers such as community and cultural pressures; the shortage of frontline health workers; lack of maternity legislation and inappropriate promotion of breast-milk substitutes are also important to ensure that every infant receives the life-saving protection that breastfeeding can offer. Similarly, the breast milk substitutes producing companies should abide by the health codes and dedicate one third of all packaging to a warning label stating that formula is inferior to breast milk. This has also been made mandatory under the Protection of Breastfeeding legislation in Pakistan. The Sindh Protection and Promotion of Breastfeeding and Child Nutrition Act 2013 has made it mandatory for the companies to include a warning in Urdu and Sindhi languages that the formula is inferior to breast milk. An Infant Feeding Board has been notified at the federal level to monitor the implementation of the federal law. Punjab requires to effectively implement the Punjab Protection of Breastfeeding and Young Child Nutrition (Amendment) Act 2012 while Khyber Pakhtunkhwa has committed at the highest level that soon it will also enact a legislation for the protection and promotion of breastfeeding. In terms of laws and legislations, Pakistan seems to be developing. However, when it comes to the implementation of these laws, we see very little progress. It is time that we focus on our health system and help our infants live longer, healthier and more sustained lives. He has a Masters degree in Human Rights from the London School of Economics and is currently working for the promotion and protection of child rights in Pakistan. He tweets @amahmood72 (twitter.com/amahmood72). Is the food at your child’s school canteen safe? In Lahore: Does child labour and torture go hand in hand? her and take good care of her food and nourishment. Pakistan around 352400 children cannot reach to celebrate their fifth birthday. behind the large number of death ratio is the breastfeeding rates are very low. to 38% with 1% increase. diarrhea which is a big killer of infants in Pakistan. easy to digest and also meets the nutritional needs of babies. developing dental caries later in life. 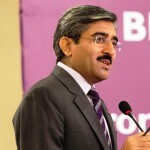 A very nice blog on a very important issue by Mr. Arshad Mehmood a veteran Child and health advocacy expert in Pakistan. No doubt that the Breast milk provides the ideal nutrition for infants. It has a nearly perfect mix of vitamins, protein, and fat — everything your baby needs to grow. And it’s all provided in a form more easily digested than infant formula. Breast milk contains antibodies that help your baby fight off viruses and bacteria. Breastfeeding lowers your baby’s risk of having asthma or allergies. Plus, babies who are breastfed exclusively for the first 6 months, without any formula, have fewer ear infections, respiratory illnesses, and bouts of diarrhea. They also have fewer hospitalizations and trips to the doctor. I would like to say a big tanks to Balochistan cabinet, Members of Provincial Assembly of and Dr. Ali Nasir Bugti head of Provincial Nutrition Cell, Health Department of government of Balochistan for enactment of such an important law. This will definitely, lead to improve infant and child health by reducing the IMR (Infant Mortality Rate) in province. I agree with Mr. Arshad Mehmood the blogger that the real test for the government of Balochistan to effectively implement this law. I hope that the provincial health authorities will notify Infant Feeding Board immediately for monitoring of this provincial law in Balochistan. This is a very rich blog covering all the important aspect and giving a complete picture the breastfeeding status in the country. Every year in Pakistan around 352400 children cannot reach to celebrate their fifth birthday. Out of these total deaths 35% are due to malnutrition. One of the major cause behind the large number of death ratio is the breastfeeding rates are very low. According to Pakistan Demographic and Health Survey (PDHS) 2006-07 the exclusive breastfeeding rate was 37% whereas according to PDHS 2012-13 the rate increased to 38% with 1% increase. Very well stated as the writer has a great grip on issues related to legislation and their implementation regarding child rights and protection related issues. Personally I have remained with the Aga Khan University as a young researcher in the past. Majority of research topics were related to nutrition, mothers and neonatal health. One of the studies was on the availability of fortified food to mothers and babies for which the sample was picked from 4 districts, from Punjab and Sindh. For the data collection I along with a team of midwives and LHVs were placed in Faisalabad city for the door to door survey. During the data collection we would enter every third house to check the availability of fortified food products at home, measure the height and weight of children and ask a few questions from mothers regarding still births, miscarriages and vitamin deficiency etc.. . during this I found may mothers had experienced at least one miscarriage/still birth in life. Very few of them answered in affirmative regarding the usage of fortified food products. and majority of them would say that they were instructed by the doctors to stop breast feeding their child after 1 year as they were experiencing Calcium and vitamin D deficiency. As far as my assumptions regarding hindrance in breastfeeding is concerned, young mothers are very much into the cult of maintaining their body weight, they take less to maintain a desirable size, secondly there are those who lack the availability of nutritious food to maintain a healthy life style. Spreading awareness is required for mothers regarding the significance of breastfeeding, and ensuring its availability for her child. Deteriorated health of the mother directly impacts the continuation/ frequency of breast feeding. A very comprehensive article. I’m in full agreement with the author and as he has already mentioned, Pakistan has passed the law but implementation is a whole different story. That’s where the civil society needs to come in to lobby for implementation of the law. The provincial government need to allocate funding and resources towards the implementation and we need to take this information to mothers. Nabeela Waheed has the right idea where she suggests that the doctors, nurses/ healthcare workers that come into contact with the new mothers need to inform these mothers of the benefits of breastfeeding. Thanks for sharing such great news. As we all know that Balochistan due to its diverse issues is suffering from highest ratings of MMR and IMR among the other provinces of Pakistan. This law will surely help to reduce current ratio. But there might be a lot of problems arise during the implementation of this act. Every mother wants a better health of her child and she knows how breast feeding is important for them. But due to lack of proper nutrition they are not able to provide proper breast feeding to their children. The main reason behind this is poverty. Save the children should assure this policy for working women that they should be facilitated on work places with a private room to feed their children. I appreciate the Balochistan government for enactment of this child nutrition protection law. Proper implementation of this law and raising awareness among health care providers, mothers, lactating and pregnant women will result a positive impact on the lives of women of our province. This is the time to discuss the malpractices in health profession, those doctors; health care providers encourage or introduce formula milk to mothers must be punished under this law. Would this modern world believe that Balochistan is on top with heights MMR 785 and IMR 89. Besides, these high shameful figures of women and child death, Balochistan government never spent nor allocated a single penny for nutrition interventions in the province where malnutrition and is declared as an emergency as per classification of WHO. Dr Abdul Malik, Chief Minister Balochistan, Sir, I don’t request, rather demand provincial government to allocate resources and budget for nutrition programme for Balochistan. A great blog! It will be a helpful source to guide the design of national policy to speed up progress towards MDGs 4 and 5 and work towards the longer term goal of ending preventable deaths among women and children.